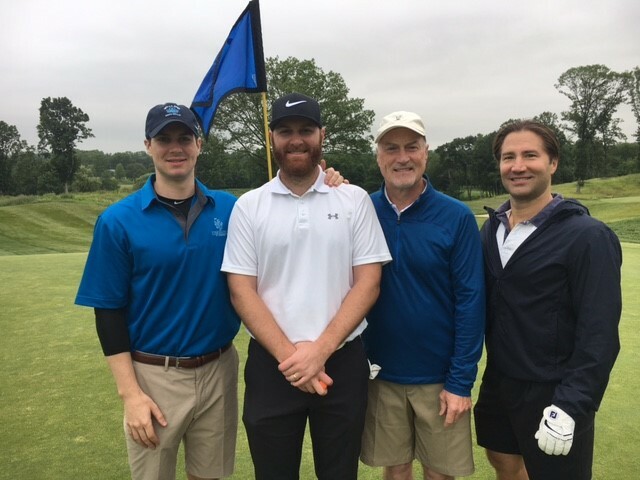 Star Mountain Capital‘s Chris Birosak and Dave DiPaolo attended the Student Partner Alliance (S/PA) annual golf outing (pictured here with Chris’s sons Andrew and Patrick). S/PA provides financial support and mentorship for inner-city youth in New Jersey to attend parochial high schools. Star Mountain Capital was one of the corporate sponsors of the event which raised $40,000 to help support S/PA’s mission. Over its 25 year history, S/PA has raised over $2,000,000 to support over 2000 students attend quality private high schools. Ninety-seven percent of S/PA supported students have gone on to graduate from college. In addition to Star Mountain Capital’s corporate support, both Dave and Chris provide personal financial support to several S/PA students. For more information, please visit www.studentpartneralliance.org.